Seriously, haven’t you wanted to wear this dress your entire life?? 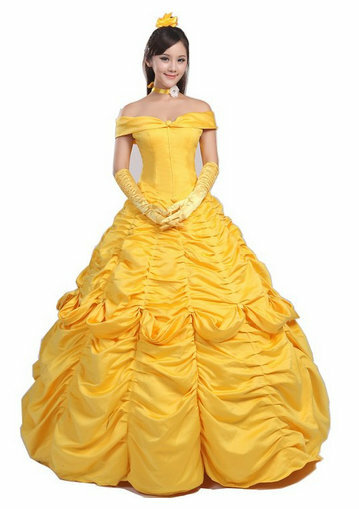 Like, if you can’t be a Disney Face Character, this Deluxe Belle Costume is the closest thing you’ll ever get! You can order this dress off the rack, or have it custom made. It’s perfect for Halloween or just browsing the aisles at Barnes and Noble! Check out our Halloween Gift Guide to discover our other Favorite Disney Costumes!